Come with me in your imagination and let’s travel back in time to the very beginning—before humans and life on earth existed, and let’s witness the creation of mankind. Now I’m sure everyone is aware of the popularity of dragons in the Chinese culture. You can easily see it in their movies, decorations, symbols, architects, and clothing. And I’m sure all of us have at least one friend or knows someone, who has a Chinese dragon zodiac sign tattoo. 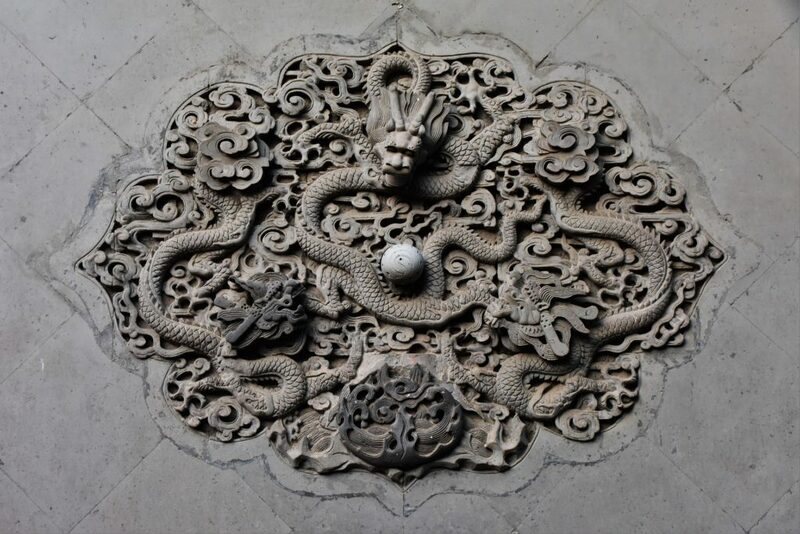 The influence of dragons play a major part in Chinese history and culture, going all the way back to the early days of Chinese emperors. From the research I’ve done on the subject, I found the history of it all to be quite fascinating. Reading about different theories and beliefs of how it all began and where dragons came from, left me intrigued—to say the least. 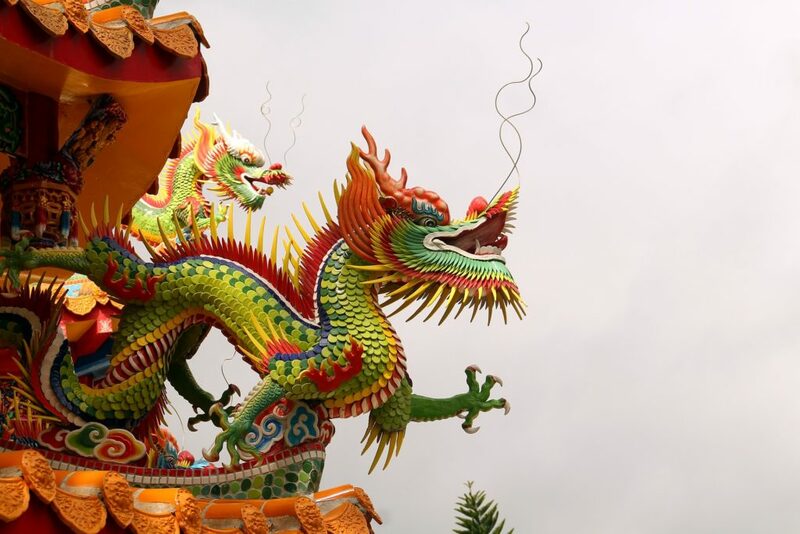 In the next few lines, we’ll explore one of the myths of where some Chinese believe the dragon came from, and at the same time throw in a little history lesson. Sound good? Here we go! The great Goddess stood back and looked upon the naked earth and grew tired of the sight of its bare form and the absence of life from within it. She yearned for a creation—something with life to live within the boundaries of its surface and to rule over it even as she had dominion over everything she looked upon. In deep thought, she gazed up at the skies and began to imagine what her creation would look like. Suddenly, she was interrupted by the resounding sound of a dragon’s cry as it flew by above her. Instantly, her mind was struck with inspiration. A thought came to her—and as she began to envision this thought, over a short time it started to become more and more clearer to her—until finally she smiled in satisfaction at the created life form that she drew up in her mind. She stood up hastily, lifted her face to the sky and shouted—The sound of her voice vibrated through the heavens and shook everything above and around her—including the dragons that were soaring by overhead. She raised her hand to the sky and as she did, one of the dragons that hadn’t yet regained its balance from the shaking of her voice began to fall—unable to maintain flight even as it flapped its wings, eventually hitting the ground with ultimate force. Seeing this, the Goddess began to make her way towards it—the dragon huffed and puffed, blowing smoke from its nostrils, unable to move as it was now submitted to the will of the Goddess. She stood in front of it and glared into its eyes. The dragon growled and blew smoke violently in frustration, but the longer she stared into its eyes, the weaker it became until finally she reached out her hand and touched its head, and immediately the life from within it was gone. She looked at her hand and marveled at the glow of the dragon’s life that radiated in it in the form of a blue light that pulsated with a movement that resembled the beating of a heart. She smiled as she could see the entire lifespan that the dragon had lived—from its birth until now. She then reached down and touched the ground with her other hand, and from it a figure began to form—She stood back, amused, and watched as it assembled. The figure began to grow in shape and size until its height reached hers—and then it stopped and no longer made movement. The Goddess stood in front of the creation that she had first formed in her mind and studied its figure. And after observing it, she took the palm that she had touched the ground with and placed it on the very top of the creation, and instantly it began to form flesh—like hers, and the formation continued until the creation was entirely filled and covered with it. She smiled, contently. In front of her stood a body. What she had pictured in her mind was now standing before her. But like the earth, it stood lifeless. She then took the hand that radiated with the glow of the dragon’s life and placed it on the chest of her creation. Then she stretched out her other hand and immediately the lifeless body of the dragon was drawn to it, until she was now holding its head in that hand. She gripped and squeezed it, and the blood from the dragon’s body began to drain until its body dried up, and the blood was now resting in her palm. The dragon flopped to the ground, then she took that same hand and placed it on the head of the created figure. The blood began to take route throughout its body filling it entirely, and finally looking into the eyes of her creation, she leaned in and kissed its lips—and instantly its body was filled with life. She looked at it, completely astonished, for what she had created was more satisfying than she imagined. After some time had passed, she decided to create more beings just like the first one—which in total now made five. And after naming them and equipping them with power and dominance, she placed them on earth as rulers, and then created weaker beings for them to rule over. Now, what does this story have to do with the Chinese mythology of where dragons came from? Well, believe it or not, but such marvelous stories like this are incorporated throughout all of Chinese culture and history, and are believed to be true—including a story similar to this one. Some believe that dragons existed during the creation of mankind, and that the first humans were the first five emperors of China, created by a Goddess. And they believe that those emperors indeed had the blood of a dragon flowing through their veins. Pretty interesting myth, huh? This paragraph pretty much sums this theory up in a nutshell, but I figured it would be more fun to tell it in the form of a story. J Tune in for the next article when we’ll explore another myth. See you there!